Born as a Christian in Algeria and living with a pagan husband in Carthage, Monica had a difficult marriage. Her husband was abusive and her mother-in-law disliked her. Monica was a reformed alcoholic when she followed her pleasure-loving son, Augustine, to Italy. 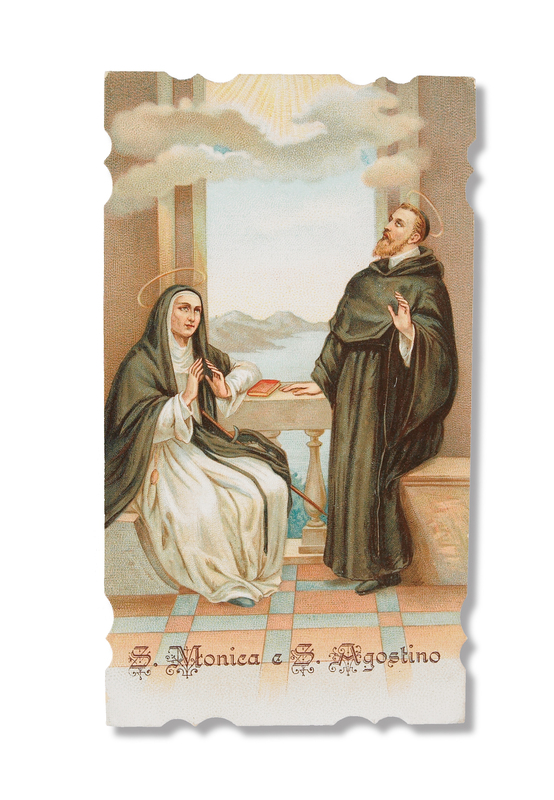 She was known for her tears and constant prayers for his conversion. After a wild life, he became one of the greatest saints of the Catholic Church. Monica died shortly after he became a Christian.